Tiny yet cute looking, the iCare Solo is a new starter kit with an internal tank by Eleaf, which is easy to use and convenient to carry. To power it on or off or to activate the tank can all be done by holding the button. With LEDs in three different colors, you can easily check the battery level by a simple glance at the light. 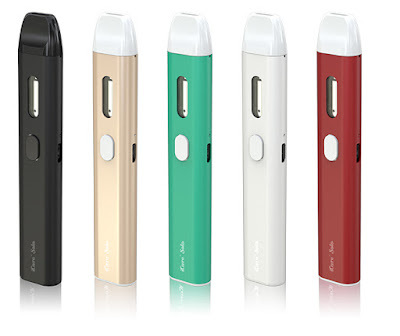 Various colors and great vaping flavor also make the iCare Solo an optimal choice for starter vapers. It is in stock at our store, only need $10.90 you can get one .